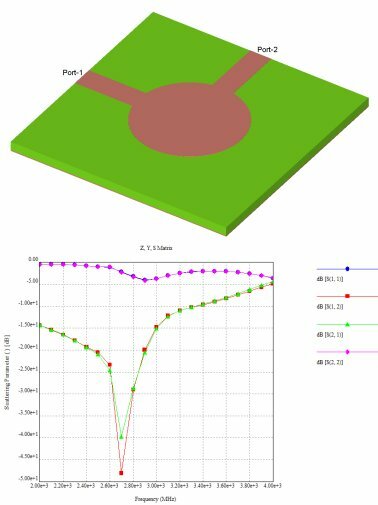 Filters made with waveguide components or microstrip components can be analyzed for determining the electric and magnetic fields or for determining the Scattering matrix, Z-matrix, and Y-matrix parameters over a range of frequencies using our CAE software SINGULA. Materials with arbitrary lossy dielectric constant and permeability can be used. A filter with more than two ports is allowed. SINGULA is 3D modeling software.